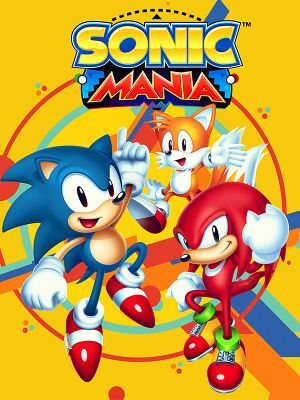 Includes the Mania Plus expansion. All versions require Steam DRM. Denuvo Anti-Tamper DRM was removed on March 12, 2019. Includes two additional characters, an enhanced multiplayer mode, and a new set of levels - among other enhancements. Game is pillarboxed to keep a 16:9 aspect ratio. Uses fixed window sizes (1x, 2x, 3x, 4x, 5x) that cannot be stretched by the user. Gameplay is locked to the frame rate and refresh rate. See Frame rate (FPS). The game is made on a definition of 424x240. If you want to have a sharp and clean image, you need to multiply that definition by two each time in windowed mode. On a 1920x1080 monitor, x4 is the best choice, but since this multiplier is not available in the options, you have to set it manually. Open Settings.ini, if it doesn't exist start the game at least once and it'll create the file. On a 4K monitor, the sharpest image would be x8 (3392x1920). You may also want to add shaderSupport=n to get it even more clean. You can use Window Borders Manager to add black bars around the game window. If you have filter issue after adding the 4x support, you can delete Settings.ini, the x4 multiplier will still be usable in game with correct filter. Under [Video] set windowed=n and exclusiveFS=n. Save file and run the game. The frame rate is partially locked to the refresh rate of the monitor, regardless of V-Sync. A refresh rate of 40 or below will cap the frame rate at 40 FPS, while a refresh rate of 60 or above will cap the frame rate at 60 FPS. A refresh rate between 40 and 60 will cap the frame rate to that refresh rate (so 50 Hz locks the game to 50 FPS). The gameplay is synced to the frame rate, and targets 60 FPS to deliver a full speed (100%) experience. This means that 40 FPS (40 Hz or below) will run the game at 66.67% speed (a 1/3 slowdown) and 50 FPS (50 Hz) at 83% speed (a 1/6 slowdown). 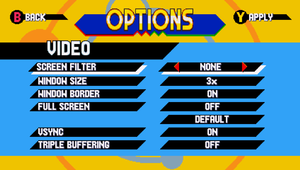 Sonic Mania supports a maximum aspect ratio of 16:9, but it can be modified for thinner ratios (16:10, 4:3) without using black borders. Some menus may get cut off, however the in-game camera will adjust appropriately. Under [Video] add a new line pixWidth=1. Edit winWidth and winHeight to match your resolution. Keyboard configuration screen. Only accessible when there are no controllers connected. 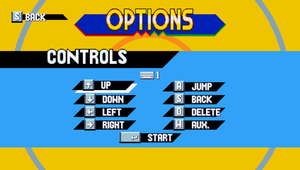 Controller layout for XInput compatible controllers. 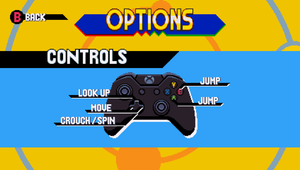 Make sure no controller is connected when accessing "Controls" in the Options Menu, otherwise the Steam controller configuration interface opens instead. 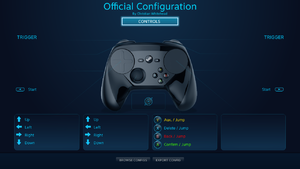 Selecting "Controls" in the Options Menu with a compatible controller connected sends the user to Steam's controller configuration interface. Enable PlayStation 4 controller support in Steam. 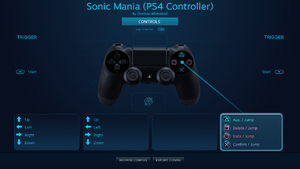 Use PS4 HUD with Mania Mod Loader for PlayStation prompts. Button prompts for other types of controllers can be found here. 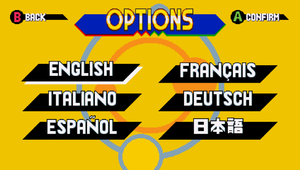 Limited to one device/input scheme per player. DualShock 4 and Steam Controller. 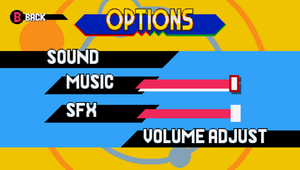 Music and SFX each have their own sliders in the Options Menu. "The game favors USB HID for gamepad input, but will fallback to XInput in some situations. Generally this would not be that bad, but it is not very smart about which USB HID input device it chooses. If you have input remapping software present, disable it... do everything you can to avoid your controller showing up in multiple different input APIs. A DualShock 4 controller natively supports USB HID, you do not need the Steam overlay or DS4Windows further confusing this poor little game." Download the Sonic Mania Offline K Enabler Pre-Compiled Binaries (usually called SMOKE_00x.7z) archive. Extract the archive to the installation folder. Add these lines to d3d9.ini. Loader that allows the use of fan-made mods. Start the game and press Esc anywhere to access the developer menu. Load a save slot before accessing the developer menu if you want progress to be saved on that slot. Go to Stage Select -> Presentation -> Level Select and select a level and wait for it to load. Click on Q to toggle the debug mode. The sprite of the player will turn into a golden ring while enabled. A custom CRT screen shader more closely matching the old Trinitron CRTs. Download the Sonic Mania Offline K Enabler Pre-Compiled Binaries (usually called SMOKE_00x.7z) and the Improved CRT Effect archive. Extract both archives to the installation folder. Launch the game. The custom CRT shader will automatically be used. Turn off the game's built-in screen shader effect. The game launches on Windows Vista too, but this version is not officially supported. ↑ 2.0 2.1 File/folder structure within this directory reflects the path(s) listed for Windows and/or Steam game data (use Wine regedit to access Windows registry paths). Games with Steam Cloud support may store data in ~/.steam/steam/userdata/<user-id>/584400/ in addition to or instead of this directory. The app ID (584400) may differ in some cases. Treat backslashes as forward slashes. See the glossary page for details.